At Tacoma Baptist, we partner with parents to help each child successfully navigate the critically important Junior High years, helping students to become assured young adults. 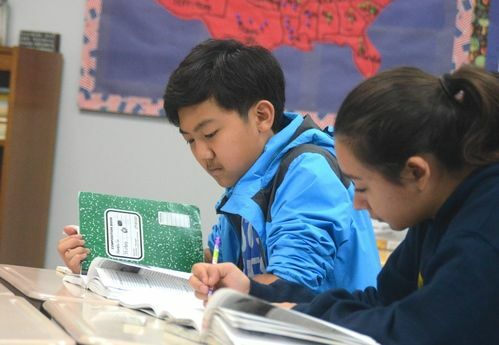 We provide a strong academic program where rigorous math, English, history, and science courses challenge students. Choir, life skills, photography, and other electives round out an engaging selection of courses. Students are immersed in an environment that helps them strengthen their relationship with Christ. Daily Bible classes, weekly chapels, and opportunities for servant leadership encourage students to make their faith their own. 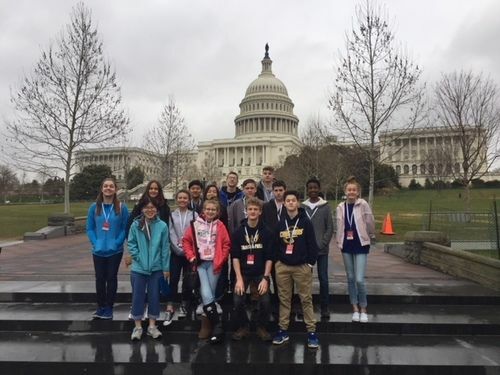 Junior High students grow as leaders by becoming class officers and taking part in service opportunities on campus and throughout our community. A variety of Junior High athletic programs allows students to develop leadership skills on the court as well as in the classroom. TBS faculty and staff are committed to fostering the academic and spiritual growth of every child. Teachers and students come together to form a safe, caring, and intentional Christian community where young people are known and valued. · Know Jesus Christ as their personal Lord and Savior. · Honor God the Father, emulate His Son Jesus Christ our Lord, and follow the Holy Spirit. · Grow in their Christian walk and continue to follow Christ. · Equip each student to be firm in their faith and able to articulate and defend the Christian faith in the world. · Be committed to fulfilling the Great Commission. · Be active in a local church, serving God and others. · Be able to apply God’s Word in their daily life. · Have the desire and strive to love God with all their heart, mind, soul and strength. · Have the desire and strive to love their neighbor as themselves. · Boldly explore God’s purpose for their lives, and to take personal ownership of Biblical truth. · Understand and maintain a personal Biblical worldview. · Understand and practice the spiritual disciplines of prayer, fasting, stewardship, and fellowship. · Be prepared to build strong families that continue the heritage of God’s people. · Be productive, God-honoring citizens that strengthen and provide service and leadership for their communities. · Master core competencies in academic disciplines including reading, writing, speaking, mathematics, history, the sciences, geography, languages, the arts, and personal finances. · Be prepared for college, university, a future in the military, specialized trade school, or God’s calling for their lives. · Be biblically literate and understand God’s Word. · Utilize effective study skills, test taking techniques, listening, observing, critical thinking, and logic. · Develop tools to become wise decision makers, problem solvers, and creative thinkers. · Demonstrates competency in written and verbal communication. · Be able to find information resources, use technology, analyze and evaluate information, perform academic research. · Understand healthy eating habits, health and physical maintenance, as well as personal hygiene. · Develop mature and responsible human relationships, fostering respect and integrity with others. · Practice responsible stewardship of God’s creation and resources.